i have five kids. it's no big surprise that i do a lot of laundry. just ask the dryer repair man that is consistently called to my house. i'm pretty sure he'll be on next year's christmas card list. i had heard people talking about making their own laundry detergent and, i'm not going to lie, i was skeptical. i go to war with stains in my children's clothing because 1) i want them to look somewhat put together when i send them to school each day and 2) i don't have extra money to buy clothes should my kids ruin what they already have. it may seem ridiculous but i take laundry seriously. if i can get those clothes clean, i am saving money on having to buy new ones. 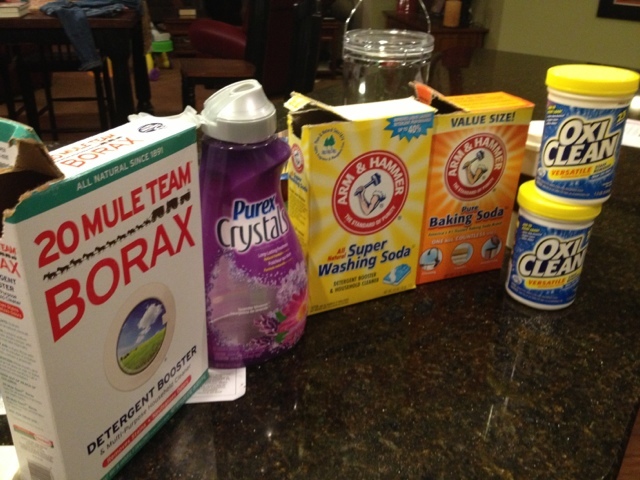 the "make your own detergent" craze hit and i did not want to give it a try. when another mother of five told me she had made her own and it was working, i finally caved. how much was i going to lose if i had to dump it all? not too much. so, i gave it a try. much to my amazement, it did work. 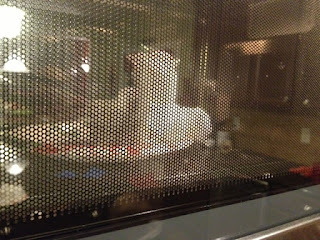 i got my original recipe from www.beingcreativetokeepmysanity.blogspot.com. after looking through all the comments written by people who had tried her original recipe, i altered it to fit my needs. 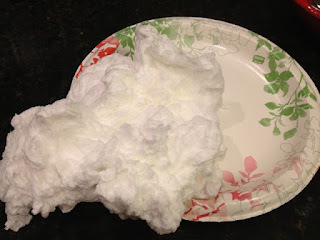 first, i have a high efficiency washer so i went with "ivory" soap as one of the ingredients instead of a soup that did not dissolve as well in those washers. i also like my clothes to smell fresh so i used "purex" crystals to add a fresh scent. these can be eliminated but the crystals do make your clothes smell great. here's the basic recipe. i bought all of the ingredients at walmart. i purchased a container that created an air seal for my detergent. this cost $15.00. people had repeatedly said that if you do not use an air seal, the detergent dries out (think brown sugar) and can be difficult to scoop. it is worth it to make that one time purchase. except for the ivory soap and the container, i found all of these ingredients in the laundry aisle at walmart. to make, get a large garbage bag and at least a 5 gallon bucket. line the bucket with the garbage bag. dump in all of the above ingredients (all but the ivory soap). 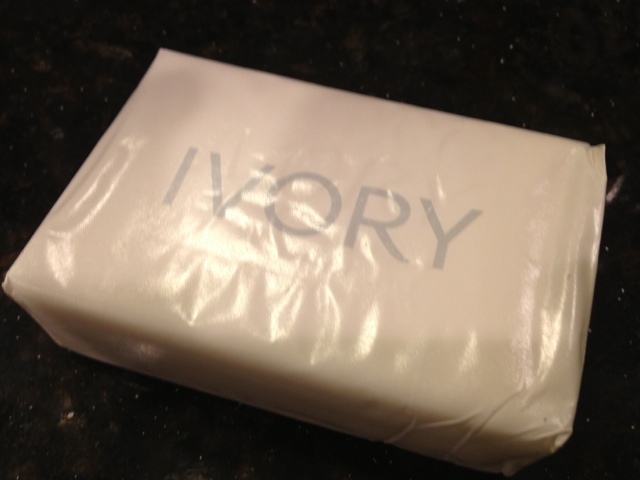 open your bars of ivory soap and cut each one into quarters. 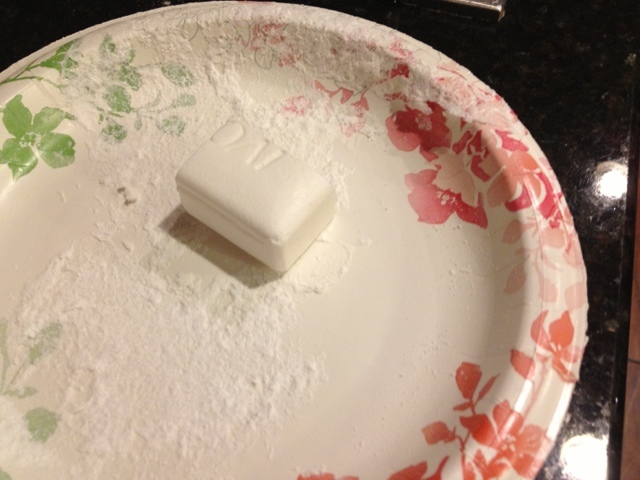 place one quarter of a bar on a paper plate (i found that using three plates kept things moving). it's like watching a giant exploding marshmallow. 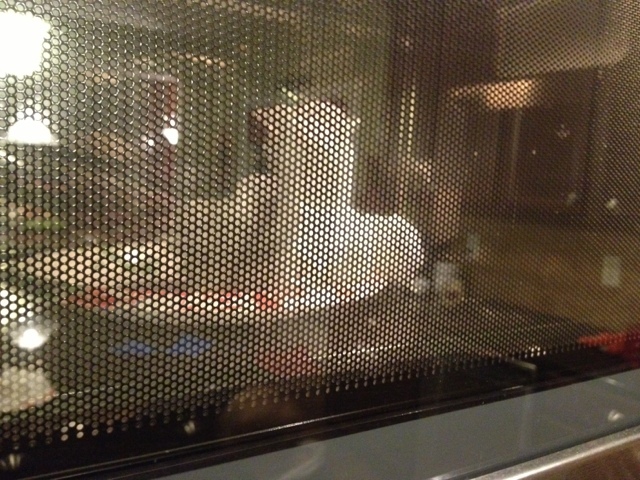 when it has finished cooking, you'll open your microwave to this. 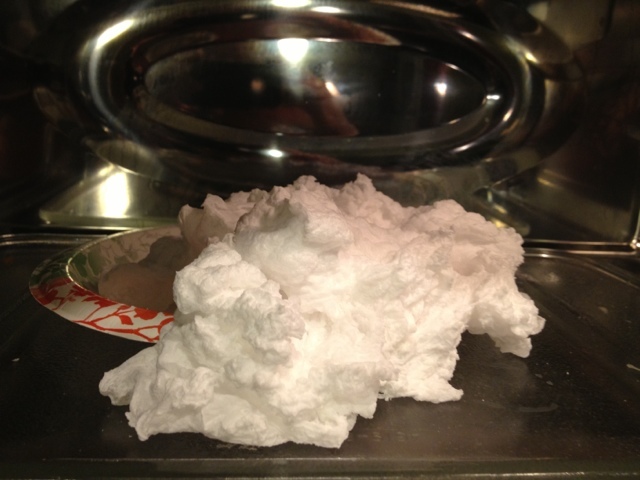 pull the plate out of the microwave (the soap won't stick but will be hot) and place the plate on the counter to cool. you will not be able to continue until the soap has cooled completely. once the ivory soap has cooled, grab a piece of it and start to rub it together between your hands. it will literally pulverize. 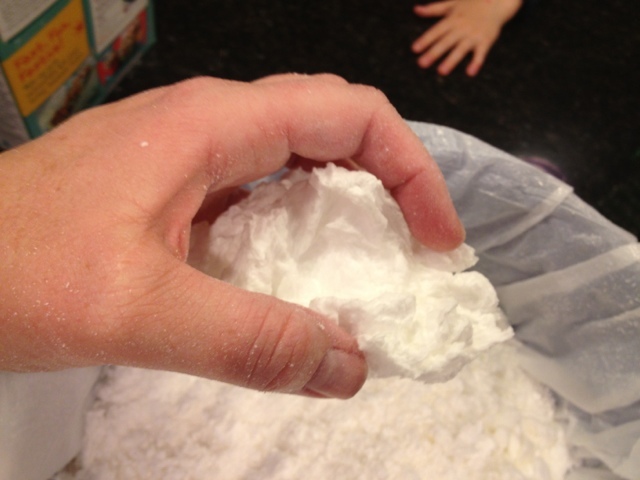 continue doing this until all of the "cooked" and cooled soap has been separated into a powder in the bucket. if the soap is not cooled, it will stick when you try to pulverize it. it should fall apart like this. the top of this bucket is filled with the pulverized soap. this is a large, 5 gallon bucket. it was filled to the top once all the ingredients were added. 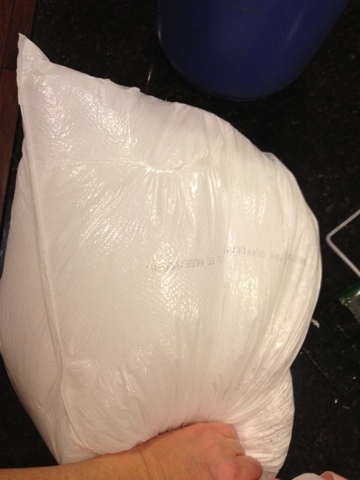 this is what the bag will look like after you have finished adding everything. now you are ready to mix. 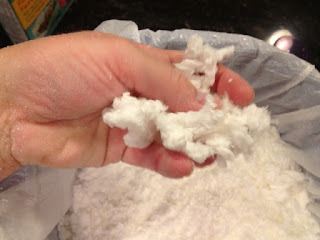 remove the bag from the bucket and, using one hand to told the bag closed, mix the contents well inside the bag. i just held it up and mixed it around. 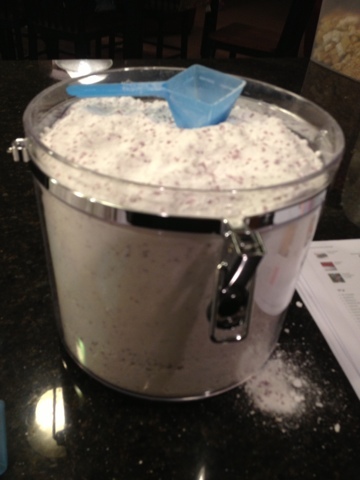 pour (or scoop) the ingredients into your storage container. you can see i spilled. 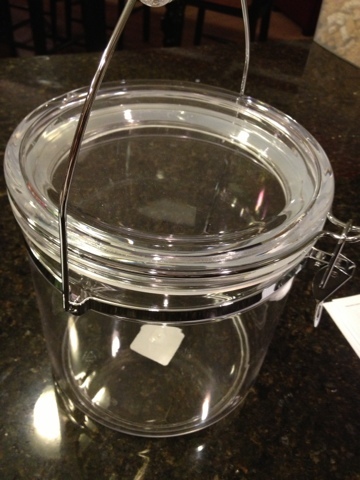 i had enough to fill this and an equally large plastic storage container. 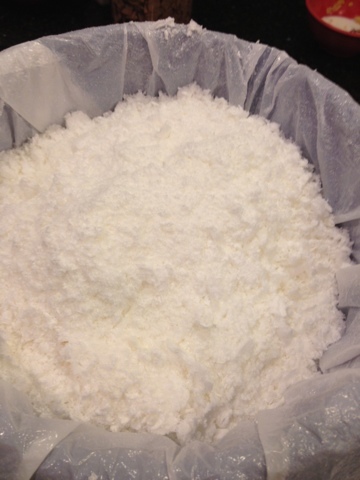 the scoop from the oxy clean container is exactly 2 tablespoons. that is how much you should use for a large load of laundry. if you have a small load, cut that in half. because you use so little, this lasts for months. i am on month two and haven't gone half way through my first storage container...that's saving us a ton of money! that's it. it took about 30 minutes to get through the whole process and it cost $25.00 for all the ingredients. from what i've heard, a normal family will take about 6 months to get through all of it. i'm not counting on it lasting that long for us but it is still a savings compared to what i normally spend. let me know what you think. i'm interested in your variations and all the tips you have for me. as i said, i'm a novice in this department but i am learning as i go. here's to big savings for all those launderers out there! Okay, you sold me. I'm willing to give this a try. 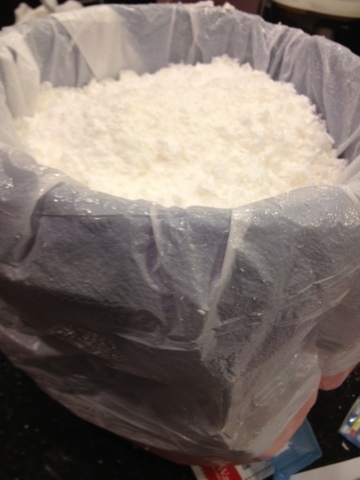 Like you, the whole diy detergent idea was kinda off-putting. I can't even put my finger on why. But this step-by-step is just what I need. Thanks, Nellie! let me know what you think, jodi. so far so good over here. i still spot treat my kids shirts but the clothes are clean and smell great. i hope you love it!